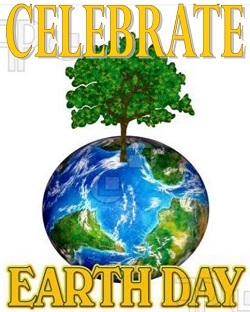 (April 14, 2017) Join the Berewick Recreation Center for its Earth Day Community Service Event as they celebrate Earth Day. 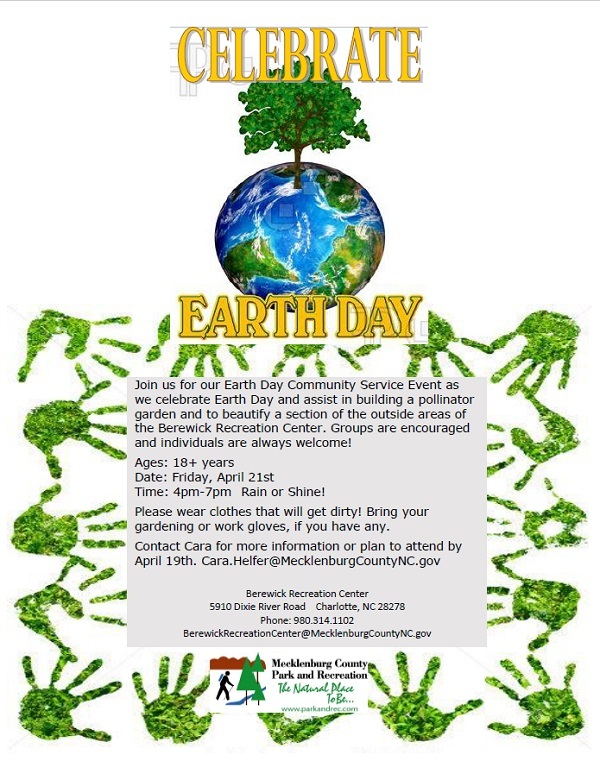 Assist in building a pollinator garden and beautify a section of the outside areas of the Berewick Recreation Center. Groups are encouraged and individuals are always welcome! Time: 4pm-7pm Rain or Shine! Please wear clothes that you don't mind getting dirty! Bring your gardening or work gloves, if you have any. Contact Cara by April 19th for more information or if you plan to attend at Cara.Helfer@MecklenburgCountyNC.gov.